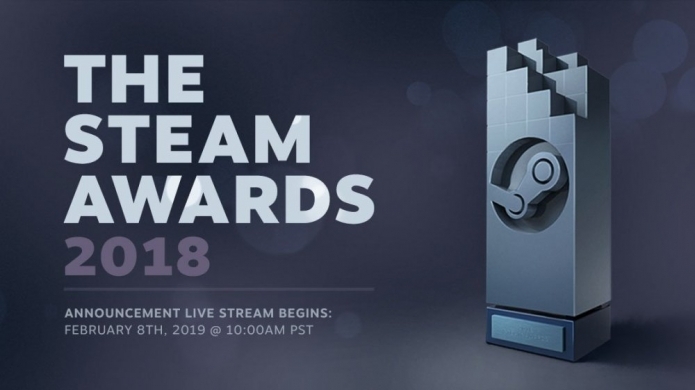 For a few years now the Steam Awards, handed out each year by Valve across various categories voted on by the community, has been mostly an announcement-based affair. That's changing this year with the Steam Awards 2018 set to be streamed live via SteamTV - bright and early tomorrow morning Saturday, 9 February 2019 at 5:00:00 am AEDT. The broadcast is set to feature special messages from the winners, but no word on how it will all be presented. With categories like Game of the Year, Labor of Love, Better with Friends, and Most Fun with a Machine - the awards cover a wide range of titles both new and old, giving the awards a very different feel to traditional 'Best Something'. You can check out the full nominees here, and tune in the live-stream at SteamTV here. Steam is also currently in the midst of a Lunar New Year Sale, that is also doing things a little differently by offering a flat $8.00 AUD off any purchase $45.00 AUD or over. As per every Steam sale there are discounts across a number of new and older titles, including a nice little spotlight on Chinese developed games to celebrate the new year.